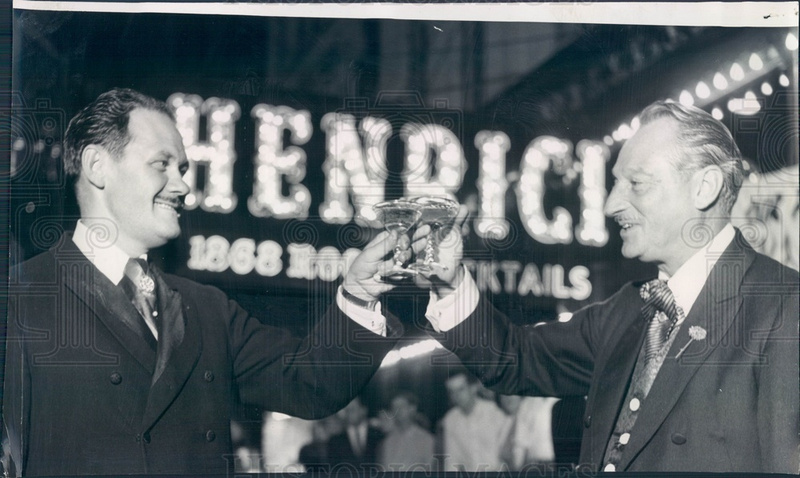 Chicago, Illinois Henrici's Restaurant Farewell Toast, Managers Ted Parker & Nicholas Van Hanxleden. Dated 1962. 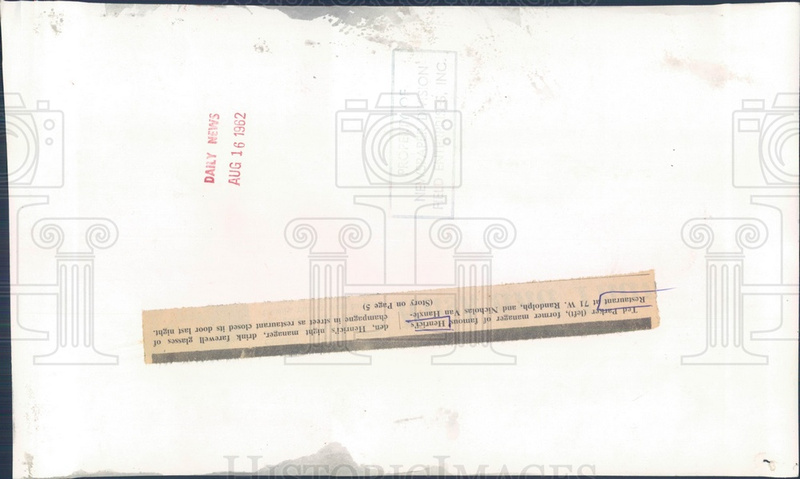 This photo measures 7 x 11 in.